For academics, that means there just might be time to pick up a random book and read it for pleasure. For those of us in American religious history, Heath Carter has just tweeted a handy list of 150 of his favorite books. But as pleasurable as these books are sure to be, sometimes it’s good to read a book without pencil in hand, without a thought as to how it might reframe one’s own research. To that end, allow me to make my own suggestion for a pleasant summer read: Stephen Backhouse’s recent biography of Soren Kierkegaard. I realize that a biography of Kierkegaard might not seem the best choice for a relaxing summer read, but hear me out. 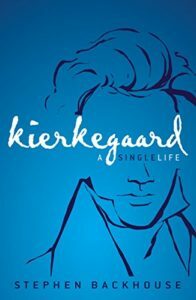 Kierkegaard: A Single Life is a sparse and beautiful book. Many books claim to be page-turners; this one is. I read the book over a weekend and found myself transported to the world of nineteenth-century Denmark. 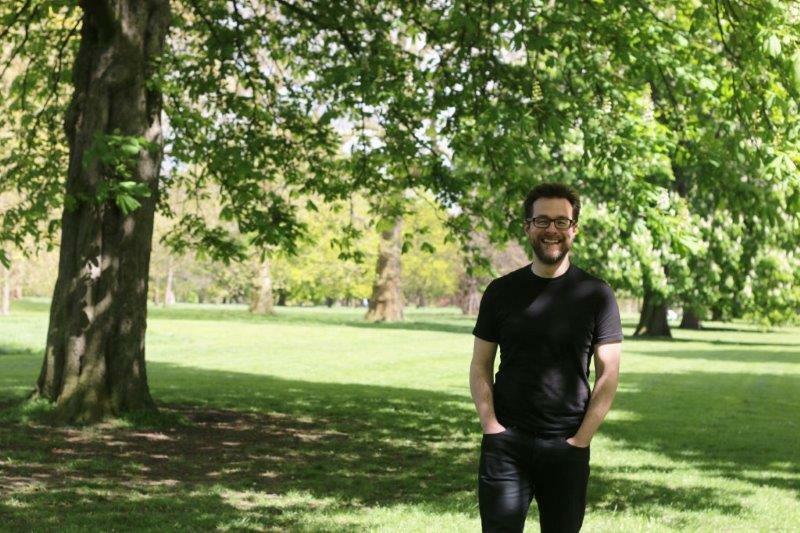 Backhouse’s expertise is evident throughout, but in an understated way. His winsome prose and observations both witty and astute make for a delightful read. Soren is conflicted. He does not know whether it is better to be a witty loner or an honest lover and is unsure how either fits with the idea to which he wants to devote his life. The journals from this period are confused, repetitive, and self-reflective. They can be annoying in the way that only self-indulgent adolescent diaries the world over can be. But it is good not to judge too hastily. Let the one who has never been young, serious, religious, and in love cast the first stone! (81). He was discomfited by Berlin’s lack of public toilets. In one letter he complained that he had to carefully time his walks so he could arrive at “a particular nook in order to p.m.w. [pass my water]…In this moral city one is practically forced to carry a bottle in one’s pocket.” Another occasion saw Soren enter a fancy restaurant with some friends. On seeing a phalanx of important-looking men wearing starched collars and tails, he made his way over and formally introduced himself. After a few minutes of stilted conversation, Soren rejoined his party at the table, only to discover that the grandees of Berlin society he had been speaking to were, in fact, his waiters for the night (104). Christendom is a way of being, thinking, and feeling that has far more to do with the cultural appropriation of Christianity than it does with any specific legal agreement between church and state. 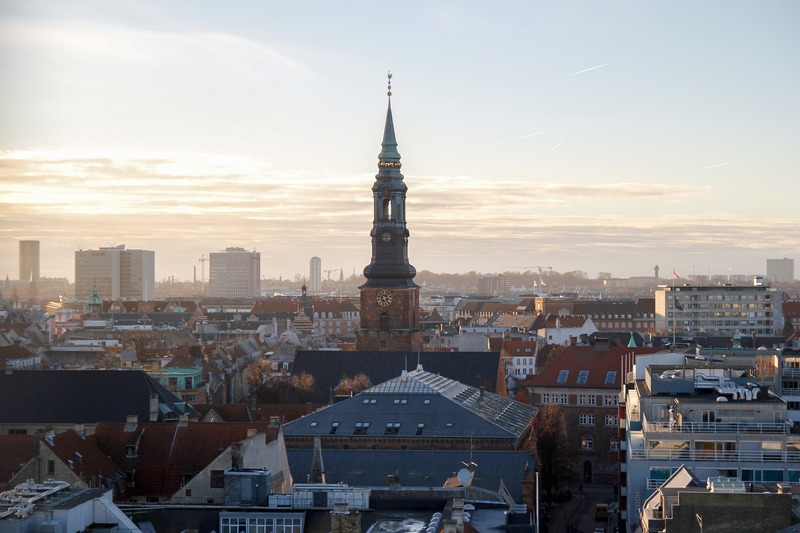 Christendom is what happens when people presume they are Christians as a matter of inherited tradition, as a matter of nationality, or because they agree with a number of common-sense propositions and Christianised moral guidelines. Kierkegaard sees Christendom as a process by which groups adopt, absorb, and neuter Christianity into oblivion, all the while assuming they are still Christian. Christendom is adept at shielding itself from its own source, for Christianity’s original documents offer a deep challenge precisely to the form of civilized life that Christendom represents(172). The book is filled with such insights, Kierkegaard’s and Backhouse’s alike. It’s a book that impels one to think more deeply and strive to write more clearly. In order to retain the book’s narrative drive, Backhouse chose to include overviews of Kierkegaard’s writings in an appendix. I haven’t yet decided if I agree with this decision. I found myself wishing to know more about precisely what Kierkegaard was writing at key moments in his life, yet I didn’t want to disrupt my reading to jump to the end of the book. Because the book itself was such a delight I’ll give Backhouse the benefit of the doubt and assume he made the right call. As a historian I also found myself desiring more of a contextual framing of Kierkegaard’s life. How, precisely, can we understand Kierkegaard in light of Christian history? How does Backhouse’s interpretation compare to other studies? And I confess I wanted Backhouse to engage more explicitly in questions of Kierkegaard’s relevance today. But to examine even a couple of these issues in greater depth might very quickly rob the book of its lightness and charm. So again, I’ll defer to Backhouse’s inclination. After this tantalizing glimpse of Kierkegaard, I’m eager to read Backhouse’s more scholarly tome, Kierkegaard’s Critique of Christian Nationalism (Oxford, 2001). And, curious about how he sketches out the broader contours of Christian history, I’ve already picked up his Compact Guide to Christian History (Lion Hudson, 2011). So that’s my contribution to your summer reading list. I’d love to hear your recommendations in the comments below!